There are many products that are introducing for a body sliming. Is there a really an effect? When I look at the advertisement there is a really difference in before and after. So if I use this can it really lessen my fats? There were many people who leaved commends on Home shopping site that they experienced the effect. 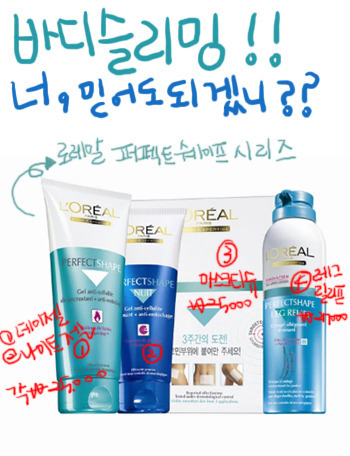 First of all Loreal products. It is very sticky and I don't like the feeling at all. It is cool but using it for a month, you can’t feel it any more. I always forget to apply during the nighttime I feel too tired to do it. but I don't know if there is really an effect. In case of gel type I used it a lot to use it all but I don't see the lessening of the fats. I exercised together but there wasn’t a dramatic effect. It states that it reliefs the swelling but I don't really know about the fats burning away. This really absorbs well and when you touch it after it is really smooth. But there are many other lotions that are smooth like this. Our point of this product is that does it work as sliming the body. Effect?? I don't really know. When I apply for several time it makes me mad. Like the Loreal, this product lacks in moisturizing even though I use it a lot. 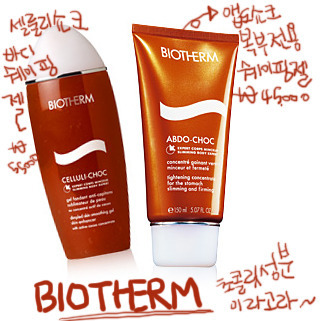 Even though it is a body sliming gel shouldn’t it have moisturizing effect? How many products does it need? It raises the keratins on my legs. You have to use moisturizing lotion together with this product. The result! isn’t that welcoming. This absorbs quickly and like the cool feeling it gives. It makes the skin smooth and it really clams down the swelling. However for the body sliming… I don't know. It really makes me question to the people who have experience the effect. I have some effect from exercising but not from this because the thick fat layer hasn’t lessened down. So is there a conclusion to be made? First of all buy the product!! Try to use it. I don’t know about the effect but it gives the elasticity. 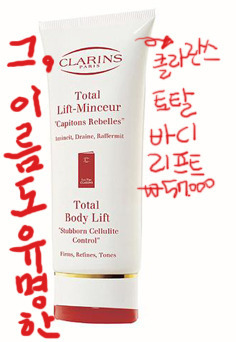 Instead of being a sliming product it is more like a elasticity cream. If people who are doing diet should buy this or people who feels like their skin is aging buy this. This is much better than other products. It makes the skin more even. It helps to remove the swelling so it is sort of like controlling the fats so it doesn’t further build on fats. The fats are evenly distributed. I used it for 3 months and still there isn’t any effect. Rather then working, the effect is lessening. I have a product that caught my eyes. 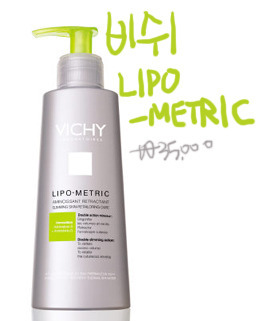 It is Vichy Lipo Metric. This is newly launched and the price is fair enough. When I finish the products that I used to I will try this. I won’t be so hoping for great effect of body sliming. However it says to be good in elasticity so I have hoping for that. After I use this, I will update it with more information.